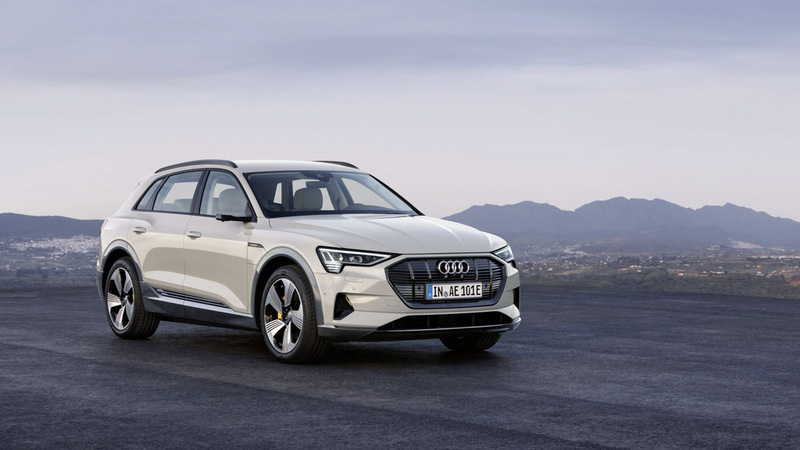 In the midst of huge anticipation, Audi unveiled its first-ever all-electric mass production vehicle a few days ago. 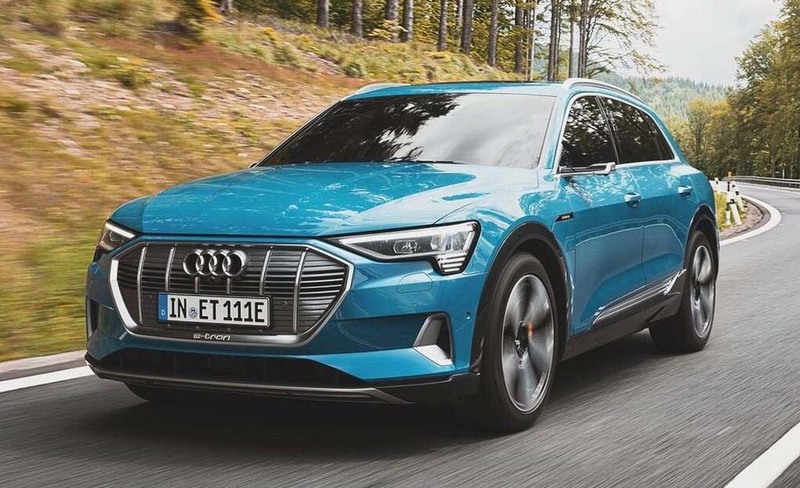 The e-tron is destined for launch in the later part of next year in India and expected to cost over Rs. 1 crore judging by its pure electric form. 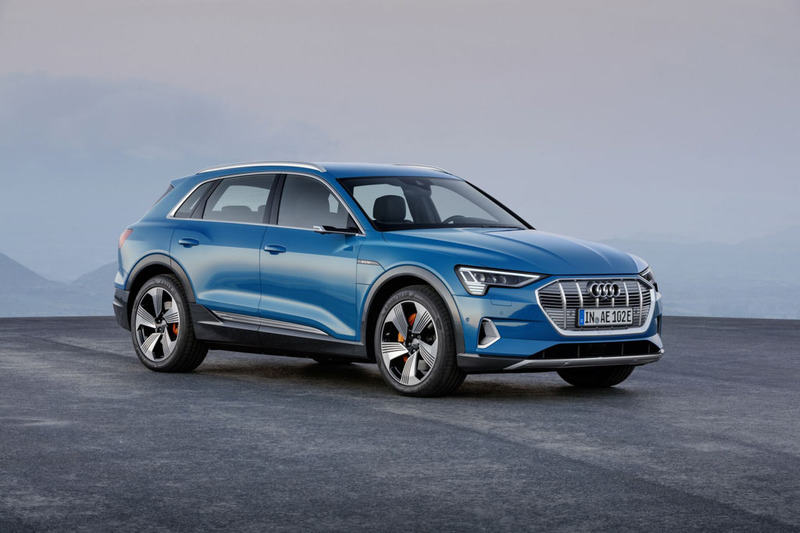 It competes against the likes of Tesla Model X, Jaguar I-Pace and Mercedes-Benz EQC. 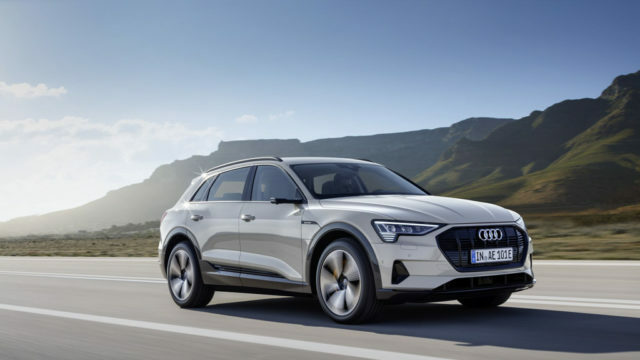 The Audi e-tron uses a two asynchronous motor setup that functions alongside a 95 kWh battery pack mounted underneath the floor. Although the performance numbers are not officially released, it is stated to accelerate from zero to 100 kmph in just 5.5 seconds before topping out 200 kmph. 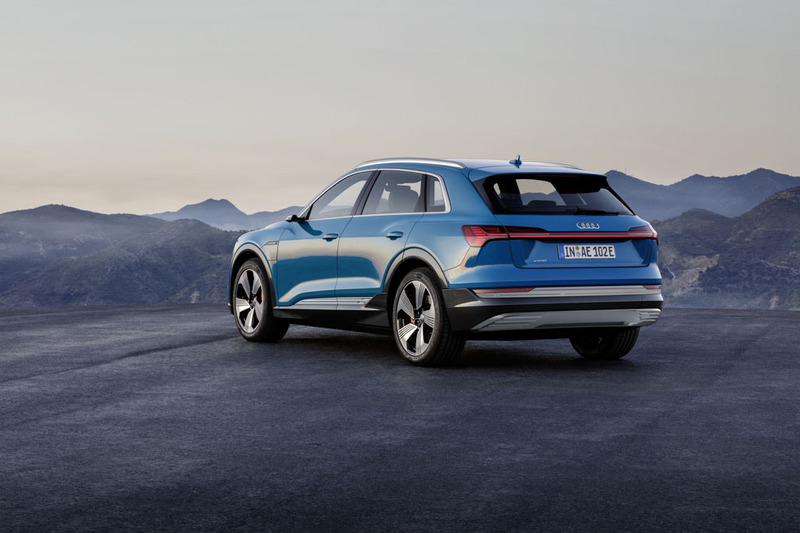 Audi’s innovative brake energy recuperation system enables the electric motors to recover energy when the driver lifts off the accelerator and when the brake pedal is used for slowing down or stopping purposes. The system is responsible for generating 30 percent of the driving range depending on the ambient and surface conditions. 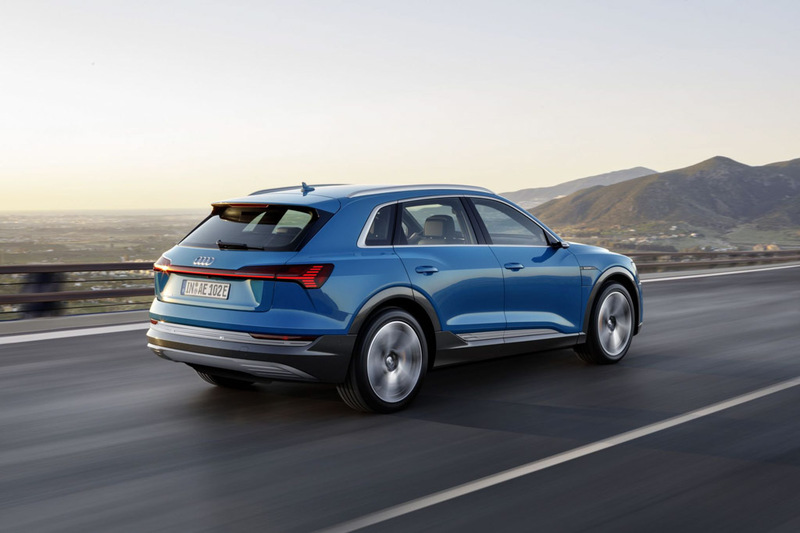 On a single charge, the Audi e-tron SUV can do 402 km range and has larger dimensions than the popular Q5. 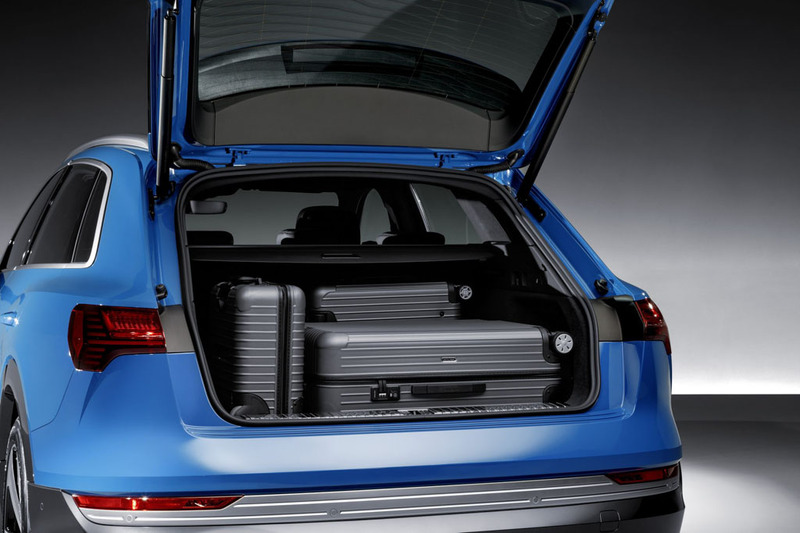 The all-wheel-drive Quattro electric system allows for optimum traction and can distribute torque between front and rear axles based on the driving scenarios in just a matter of time. It also boasts advanced torque vectoring and traction control system that regulates wheel slip, as well as seven driving modes based on the preference. Moreover, the suspension can adjust the ground clearance by up to 76 mm and it gets closer to the ground when more performance is required. 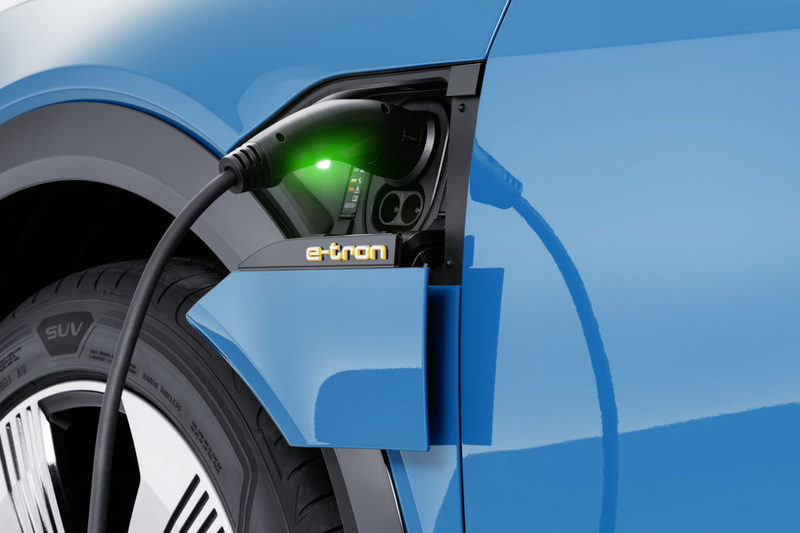 Using DC fast charging, the e-tron can be charged by up to 80 percent in about half an hour. The five-seater also features virtual mirrors, while 21-inch wheels, wooden inlays, Night Vision Assistance, orange brake calipers, HUD and several other driver assistance features are part of Premium Plus, Prestige and First Edition packages.